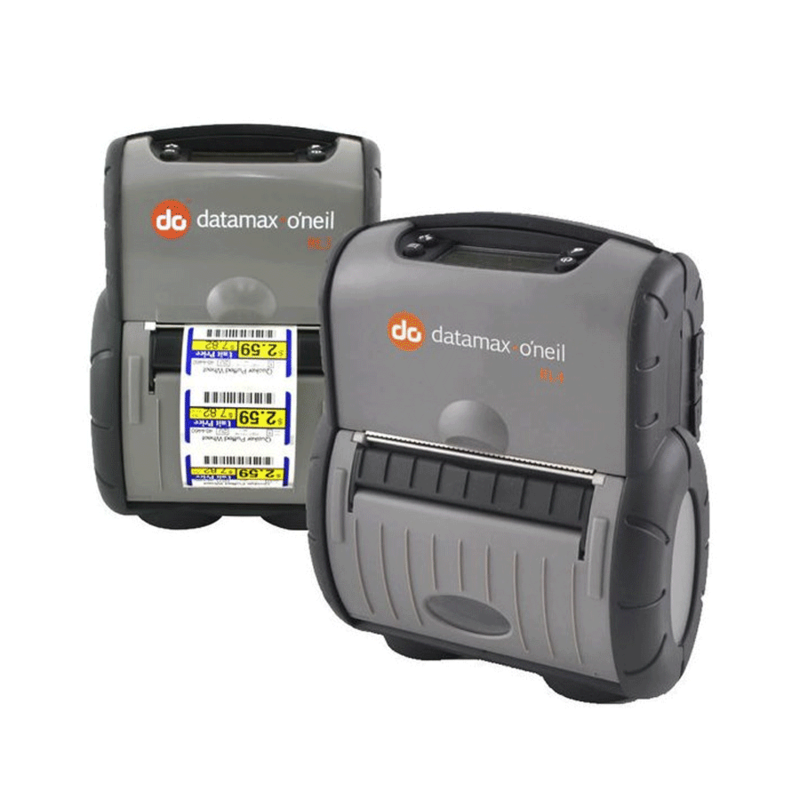 Honeywell Datamax-O’Neil built its reputation on rugged and reliable portable receipt printers. Our design expertise is now reflected in the RLe Series of rugged portable label printers. Anybody who’s ever worked in a warehouse knows that when shipments are processed quickly and effectively, productivity is increased and errors are reduced. The RLe Series improves efficiency and productivity by allowing workers to print and apply barcode labels directly at the point of application. Using the RLe Series to print on-demand labels also eliminates the danger of mixing up batch-printed labels and can lead to big savings by avoiding shipping errors. The printers can even be mounted on forklifts for added convenience and versatility. The RLe Series continues to print after 26 consecutive drops to concrete from 1.8 m (6 ft), even in extreme temperature conditions. Includes popular language emulations that allow you to easily replace existing printers in the workplace. Change paper rolls with one hand. Speed label application with an intuitive LCD screen and a peel-andpresent mechanism. Co-engineered media supplies ensure optimum, troublefree performance and guarantee the highest print quality and image stability. For optimum print quality and printer performance, use certified Honeywell media. *For use in RLe Series printers equipped with linerless option only. Extended Warranty: Contact your Honeywell sales representative for extended warranty options available through Honeywell Repair Services.